While it's generally agreed that quadcopters are easier to fly than traditional RC helicopters, they still do have somewhat of a learning curve. Depending on your choice of multirotor, the nature of the challenge will vary greatly. The extremes range from highly sophisticated, expensive platforms, which can essentially fly themselves but require programing knowhow; to the most elementary cheaper copters, which are more like regular helicopters. This guide is aimed at the beginner and will therefore focus on the latter. 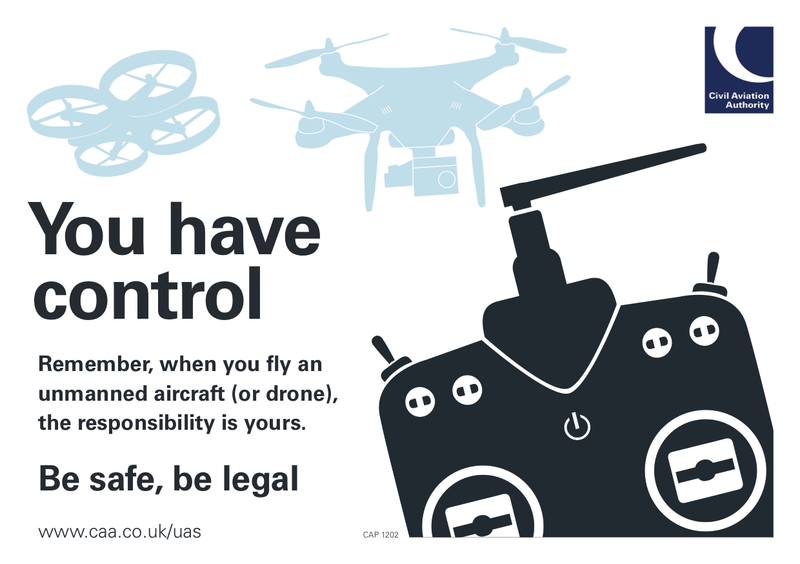 Remember if your are operating your UAV commercially in the UK (which the Civil Aviation Authority defines as getting any kind of valuable consideration for your work), then you are required to fulfill the necessary licensing and legal requirements as set by the CAA. Don't be tempted to just fly your multirotor anywhere. They are potentially dangerous machines and could easily cause damage to people or property. Always fly in a wide open area, with no nearby trees or power lines, and remember to seek permission of the landowner. Don't fly with distractions. Flying a multirotor requires your full concentration so choose somewhere away from spectators. Always conduct a pre-flight check. This involves checking everything is securely fastened - from the props to the battery inspect all of it! Also check that the motors spin smoothly. Finally, make sure your transmitter is set in the correct mode and do a range check. When it eventually comes to flying your multicopter, remember the first rule of R/C and Robotics. Turning your transmitter on is the first and last thing you should do. If you turn the receiver on first, the motors can start running unexpectedly. When arming your copter, don't move it - most flight controllers conduct a calibration at this point and should be perfectly still. Don't be hesitant on takeoff, it's best to positively raised the throttle and punch it into the air. If you raised the throttle very cautiously it can be become unstable and wobble or even fall over. A quad setup correctly should takeoff at about 50-60% throttle. Correctly orientating your craft is probably the single most important thing to do when flying your drone. As silly as it sounds remember to place your multicopter in the correct orientation (or correctly identify its orientation) before take off! Before now, I've stupidly placed my multirotor down the wrong way away, only to take off and immediately flip it because the controls were reversed - very annoying and embarrassing! If you lose orientation or get confused in flight, DO NOT panic and impulsively close the throttle! It will probably get expensive very quickly. Instead make an aileron input: if you input right and it goes right it's flying away... if you input right and it goes left it's flying towards you - simple. You might think this tip is silly, but it's a good idea to include your name and phone number on your frame - if you get a fly away at least there will still be some hope of getting it back. It’s easy to mix your LiPos up. Don’t risk your multicopter by flying on depleted batteries; always test your batteries before flight by using an inexpensive LiPo checker. Most pilots without a telemetry feed also use a LiPo Alarm on board their craft to alert them as to when it's time to land - it's recommended to set your alarm to 3.4V to give you enough time to land safely. LiPo batteries require careful management to maximise their life; they can be charged up to 4.20V and discharged down to 3.0V per cell. Any lower or higher in voltage and the cell will almost certainly be irreversibly damaged (reduced capacity or total inability to accept a charge). In respect of this it is common practice to abide by the ‘80% rule’. That is to not discharge you LiPo below 20% mAH during flight. 80% of pack mAh = pack mAh *0.8. You should keep in mind that as a LiPo ages its capacity goes down, so the 80% number will change. Therefore it's advisable to do a capacity test once in a while. An 80% discharged LiPo cell, will give an approximate open circuit voltage of 3.73 to 3.75 volts. A 3S LiPo pack therefore would show about 11.19 to 11.25 volts after a flight when it's about 80% discharged, a 6S pack would be about 22.44 volts. A range check is just a simple test to make sure your radio gear is working correctly before flight. There's nothing worse than taking flight and finding out too late that you have no control! How you conduct a test depends on your radio gear. It's normally a case of pressing a button at the same time you turn your transmitter on - best to consult your transmitter's manual. Once in the range checking mode, you need to make sure all of your control inputs work as expected. With a airplane or regular helicopter this is easy as you can see the control surfaces moving, with a multirotor there are none, so the best you can do is to check that the arming and mode selection works (best still if you are using telemetry - like the APM flight controller offers, then you can see the direct response to all your inputs in realtime). We are always posting new info, so if you want to stay up to date follow our blog. Hi Ive been flying Quads for some time now but i really could do with a laymans way of explaining what the currant law is with flying these machines,I have BMFA insurance and am compitent in the knowledge of saftey but it all seems to get a bit cloudy with the new regulations from the CAA. Hi Rob, you're not the only one that's a little bit uncertain about the regulations. Recently the CAA have released a fact sheet to try and clear things up a little - I've attached it below. 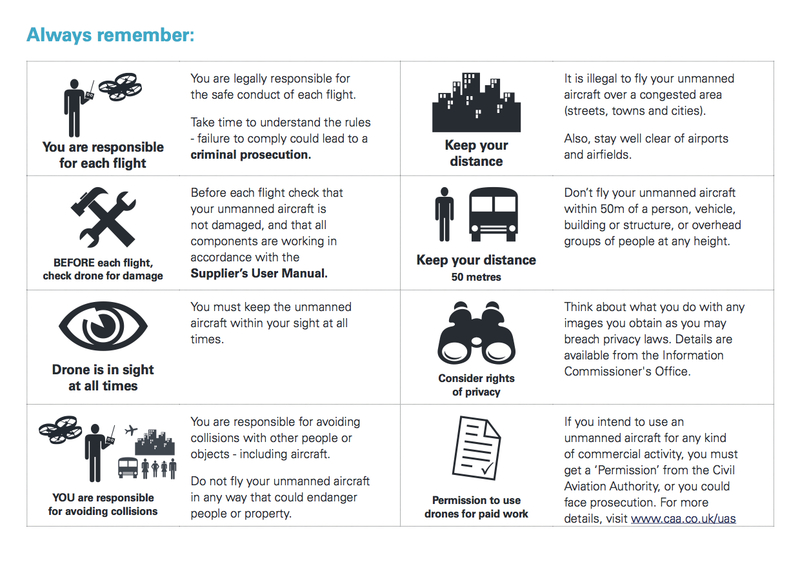 When I get some time, I plan to write a blog article about the regulations governing the use of drones in the UK.